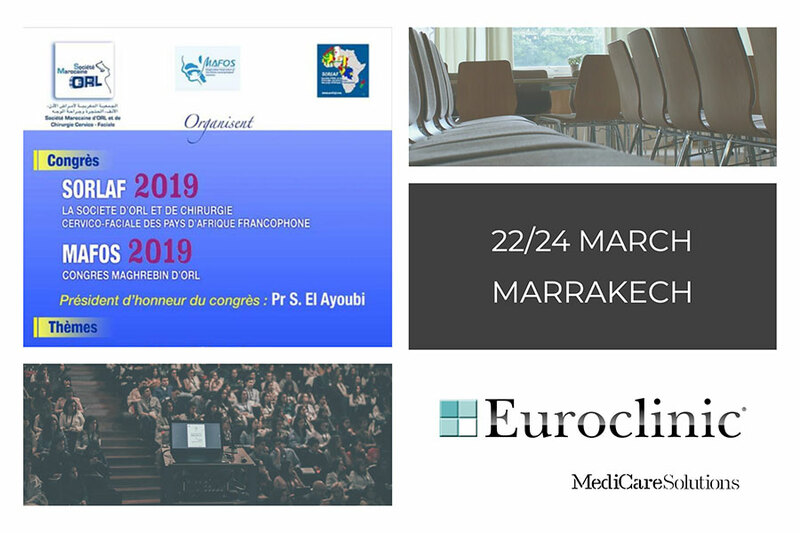 Euroclinic Medi-Care will be present at the 42nd National Congress in Marrakech on March 22, 23 and 24, 2019. This congress, coupled with the MAFOS Congress and the SORLAF Congress, focuses on topics of general interest especially in the field of ENT. The Euroclinic Medi-Care professionals will present the new XENON EVO and a new version of the EVO unit.